PORTLAND, Ore. – Regence Health Insurance Services’ private exchange product, Regence Marketplace, is gaining traction in its first full year in Idaho, Oregon, Utah and Washington. Available to employers with 100 or more employees, Regence Marketplace offers businesses a number of advantages, including the ability to control health insurance costs, predictably plan for future benefit needs, and cater to a demographically diverse workforce. Through Regence’s private exchange, employees have the freedom to choose coverage that best fits their unique needs and budget, enabling more ownership over their health care decisions. Regence plans to expand this product offering to smaller employers with 51 or more employees later this year. According to a participating Idaho employer, one early result is an increased desire on behalf of employees to choose Health Savings Account (HSA) plans through Regence Marketplace. Impac Services, which provides innovative technology solutions throughout the Pacific Northwest, reported that nearly 4 out of 10 employees have elected to choose HSA plans, almost 20 times greater than the company’s initial target. HSAs offer many advantages, including high deductible plans that can be funded through a tax-favored savings account. While businesses have long been able to choose from a variety of Regence products through the popular Employee Choice program, Regence Marketplace offers the next evolution of employee engagement and flexibility in health benefits options. The online platform provides employers with consumer decision-support tools in one convenient interactive experience, and allows employees to efficiently shop, enroll and manage benefits information. As health care continues to evolve, employers are exploring private exchange solutions that provide compliance with the Affordable Care Act. 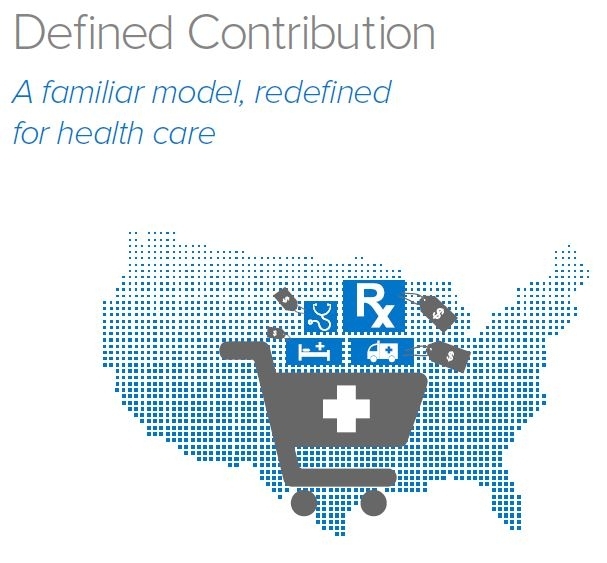 To learn more about this innovative health benefit option, read Regence’s white paper, “Defined Contribution: A familiar model, redefined for health care,” or contact your producer or Regence sales executive. Regence operates as a nonprofit independent licensee of the Blue Cross and Blue Shield Association across its four-state Pacific Northwest and Intermountain region.